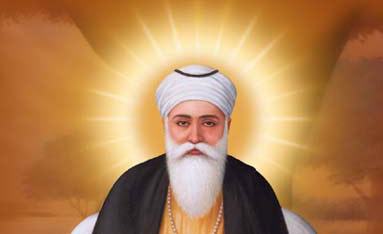 The birth anniversary of the first sikh guru, Guru Nanak Dev is being celebrated across the country today with traditional fervor and gaiety. Several functions are being held across the country to mark the occasion. Devotees in large numbers are thronging Gurudwaras to pay their obeisance to the great spiritual leader. Kirtans, pujas and prasad will mark the celebrations. President Pranab Mukherjee sent his greetings to fellow countrymen on the eve of birthday of Guru Nanak Devji. In a message, the President said, Guru Nanak Devji believed that service of man is supreme. He called upon all people to lead a moral and righteous life. The President added that as we celebrate Guru Nanak Devji’s birthday, let us erase suspicion and hatred from our hearts and banish all violence from thought, word and deed.